Lights On Afterschool 2016 – The Brightest one yet! Lights On Afterschool (LOA) 2016 was the 17th annual national LOA event. LOA is a the only nationwide event that celebrates out of school time education as well as the role they play in the lives of students, families, and communities. The state of Kansas hosted over 120 different LOA events, which added to the nationwide total of 8,200 events. Thank you to all of the afterschool programs that registered and participated! The Kansas events consisted of family engagement nights, family carnivals, and day festivals. 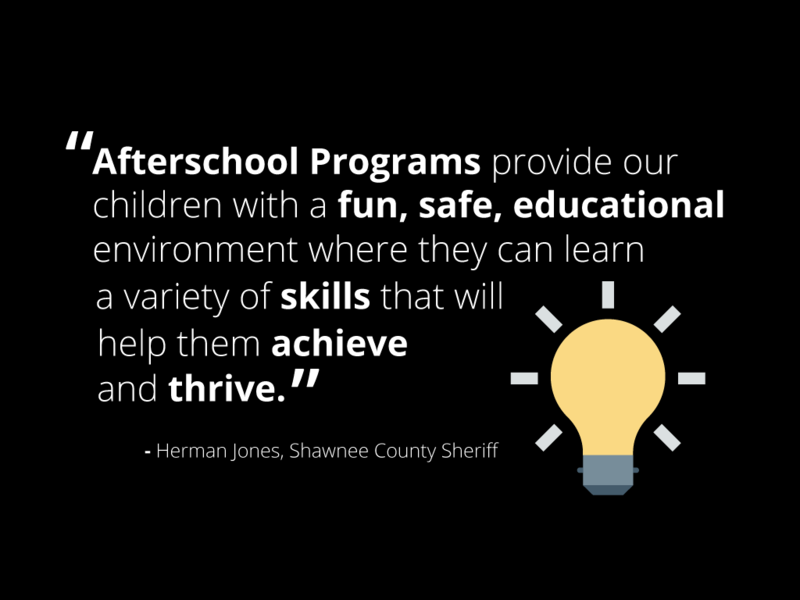 LOA is a great way to show community members, elected officials, parents, educators, and business leaders that afterschool programs are not just a safe place for children to go from 3pm to 6pm, but an environment full of enrichment and positive experiences. To view a list of Kansas programs who registered an event, click here. Governor Sam Brownback signed a proclamation and participated in a LOA event hosted by the Kansas Reading Roadmap organization in Wyandotte County at a Boys and Girls Club site. Several mayors also recognized the importance and demonstrated their support by signing a city proclamation. Vice Mayor Lavonta Williams attended the event hosted by USD 259 21st Century Community Learning Centers programs and read the proclamation. The Afterschool Alliance has posted multiple resources that can be used to assist in the process of hosting a Lights On Event. These resources can (and should!) be used for other events, as well. Go to the LOA Event website and investigate the ways to celebrate youth voices, raise health and wellness awareness, and generate excitement about science, technology, engineering, and science (STEM). Additionally, the site includes information about how to reach out to elected officials, get the local media involved, and get the attention of potential funders for afterschool programs. With events like LOA and with the help of afterschool supporters, we can shine a light on out of school time education and show the nation that afterschool should not be an afterthought! Don’t forget to visit the Lights On Afterschool website from the National Afterschool Alliance for more information, and save the date for Lights On Afterschool 2017 on October 26, 2017.